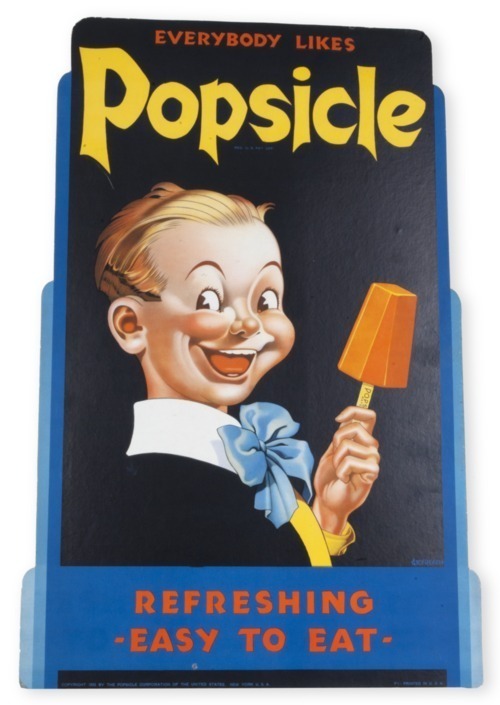 Cardboard countertop advertising sign for Popsicles featuring the mascot "Popsicle Pete." From Scott Brothers Ice Cream Company of Topeka, Kansas. Scott Brothers was founded in 1879 by Harry C. Scott and claimed to be the oldest ice cream manufacturer in Kansas. Creator: Popsicle Corporation of the U.S.